Reduced physical activity and motor skills in children remain a major public health concern, as these issues are associated with several cardiovascular risk factors and overweight status. However, we also know that motor skill acquisition and physical activity play key roles in child development and promotion of health. In particular, the preschool period seems to be a key phase for prevention and numerous intervention studies have been implemented and evaluated all over the world. Some intervention strategies focusing on preschool settings show great promise for prevention. However, the answers to some questions are still lacking: can a child-appropriate preschool intervention program with individualized components led by the preschool teachers be effective, especially in the long run? Also, are there some persisting positive effects? A randomized controlled trial with an intervention phase lasting one academic preschool year gave us the opportunity to provide answers to these questions. Our research report on this study, the Prevention through Activity in Kindergarten Trial (PAKT) was published in the December 2015 issue of MSSE. We investigated how a multi-component, child-appropriate preschool intervention program lasting 11 months with a daily 30 minute physical activity intervention can enhance physical activity, motor skill performance and other health-related outcomes in four- and five-year-old children. We consider motor development and physical activity motivation of children to be individualized and complex. Thus, we developed an intervention program based on a holistic pedagogic approach. This offered a huge scope for individualizing components and focusing the joy and fun that could be incorporated into motor tasks in children. Furthermore, our intention was that intervention lessons can be led easily by the preschool teachers ? irrespective of the equipment, personnel and space of the preschool. Our results showed that children in the intervention group gained significant benefits in motor skill performance compared to children in the control group. Much to our pleasant surprise, this positive effect still persisted three months after the end of intervention. Regarding physical activity behavior, we found a slight increase in the children who participated in the intervention group. But, this effect was at borderline significance and was not sustained after the intervention ended. Furthermore, we could not detect any positive intervention effects on body mass index, skinfold thickness, blood pressure, rates of accidents in everyday life, or infections for the entire intervention group over the controls. But, what seemed more important, our findings in a subsample of overweight children suggested that the intervention may clearly reduce increases in subcutaneous fat. The findings from our study are relevant to the many institutions and personnel involved in providing care to preschool children. We demonstrated that a child-appropriate physical activity intervention can be easily implemented in preschools by the preschool teachers. Successful implementation is feasible, regardless of whether personnel and special resources are available or not. This type of intervention can have positive implications on motor skill performance and, at least among overweight preschool children, may counter tendencies to increase body fat. Finally, regular and obligatory physical activity in preschool settings could be a key factor in public health strategies in young children. However, a change of health-related behavior such as physical activity seems to be a greater challenge. Further research is needed to gain knowledge about the possibility to change children’s physical activity habits in the long-term. 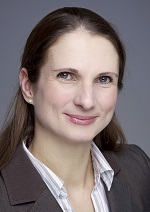 Kristina Roth, Ph.D., is a physical education scientist, physical education teacher and a researcher at the University Children’s Hospital Würzburg, Germany. Her research focuses on the cross-sectional association and the longitudinal effects of physical activity intervention on motor skill performance, physical activity and health in children. This commentary presents Dr. Roth’s views on the topic of a research article which she and her colleagues published in the December 2015 issue of Medicine & Science in Sports & Exercise® (MSSE).